Malawi President Peter Mutharika has pledged to upgrade South Lunzu Health Centre in Machinjiri to a community hospital once given fresh mandate in the forthcoming May 21 Tripartite Elections. 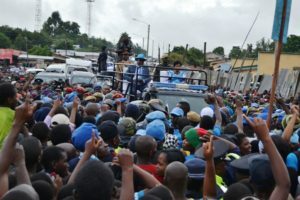 Mutharika made the pledge on Sunday at Luwanda Trading Centre in the area during a whistle tour he conducted in the city of Blantyre aimed to encourage Democratic Progressive Party (DPP) followers to continue supporting the party. The Malawi leader told the gathering that all he wants is to make sure that poverty is alleviated among Malawians and that they have access to better social services such as hospitals and good roads. “I will upgrade South Lunzu Health Centre to a community hospital. But this will only happen if you make sure that I retain my seat come May 21,” said Mutharika. 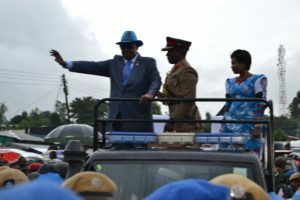 Mutharika urged people in the country to continue rallying behind the party and ensure that they vote for a DPP councillor, Member of Parliament as well as the president. He said the construction of the 118 kilometre Chigumula-Mpemba by-pass road currently underway passing through Lunzu, Mapanga, Michiru and Mzedi would also benefit people of the area in different ways, including enhancing socio-economic development. Speaking earlier, Member of Parliament (MP )for the area, Rashid Gaffar described Mutharika’s visit as timely, saying it will give high morale to the DPP followers ahead of the elections.